- The use of encryption keys is audited. - All the data is encrypted at rest always. - The largest database is currently 3 TB. - None of the databases will ever exceed 4 TB. - Stored procedures are implemented by using CLR. - Whenever possible, minimize management overhead for the migrated databases. - Minimize the number of database changes required to facilitate the migration. - Ensure that users can authenticate by using their Active Directory credentials. - Sends email notification when data is received from IoT devices. - App1 must be available to users if an Azure data center becomes unavailable. - Costs must be minimized. - Ensures that application can access the data by using a REST connection. - Hosts 20 independent tables of varying sizes and usage patterns. 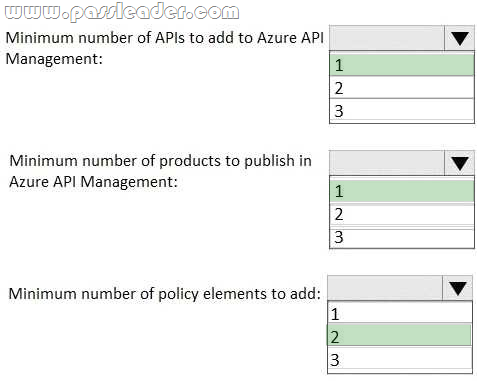 - Automatically replicates the data to a second Azure region Minimizes costs. - Ensure that the users receive files from the same region as the web app that they access. - Ensure that the files only need to be updated once. - Support the large-scale parallel execution of Azure Batch jobs. - Identify any AD FS issue and their potential resolutions. - Identify any directory synchronization configuration issues and their potential resolutions. - Notify administrations when there are any issue affecting directory synchronization or AD FS operations. - Restricts user access to each database. - Restricts network access to each database based on each user's respective location. - Ensures that the databases remain accessible from down applications if the local Azure region fails. 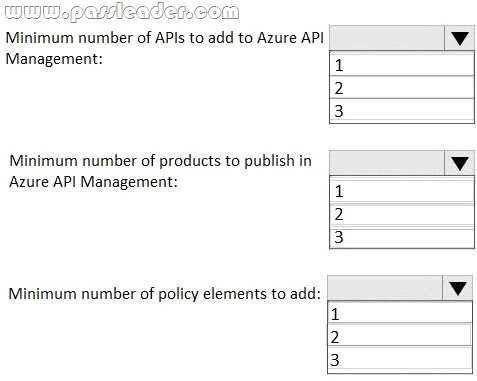 - Internal applications must receive data in the JSON format once the applications migrate to Azure. - Partner applications must have their header information stripped before the applications receive the data. - Use Azure AD-generated claims. - Minimize configuration and management effort.